The following retailers generously support schools by “giving back” a percentage of their sales directly to the school. If you are already a shopper with these retailers, or you are interested in becoming a shopper with these retailers, please designate Our Lady Queen of Angels School as your charitable designee. The percentage of sales returned to the school is a maximum of 0.5%. 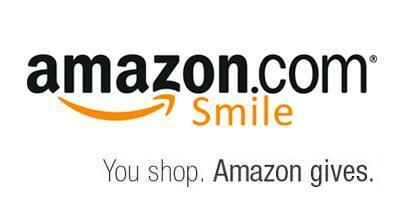 When customers shop on AmazonSmile the AmazonSmile Foundation will donate 0.5% ($5 of every $1000) of the price of all eligible purchases to the charitable organization selected. Please designate our school as your preferred charity and share with your family and friends! The website is www.smile.amazon.com Utilize the search option to locate: Our Lady Queen of Angels School in Newport Beach, California. Schools are credited 5% of qualifying purchases every time schools, teachers, parents and school supporters provide the school’s Back to school ID number when buying the school and office supplies at Office Depot or Office Max. Purchases may be made in-store or online. Please provide our school ID number which is 70011404, for Our Lady Queen of Angels School. Charitable organizations generously receive up to 4% of overall grocery spending on eligible grocery purchases. If you are a Ralph’s shopper and you already have a Ralph’s Rewards card you can choose Our Lady Queen of Angels School as your chosen funds designee. You can also sign up for a Ralph’s Reward card using this same website.